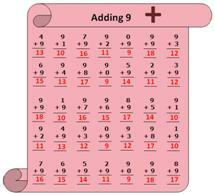 Worksheet on adding 9 will help the skill builders to practice numerous questions on 8. 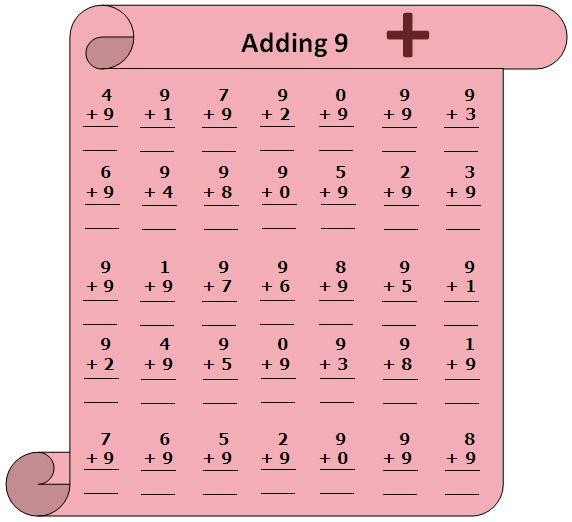 To get the clear concept of how to add nine to a number 0 to 9, children can practice this sheet. While solving the worksheet on adding 9 kids can recall the ideas and follow the addition table. For example; suppose 9 is added to 3. Count the number after 9 and add up 3. The answer of 9 + 3 is 12. 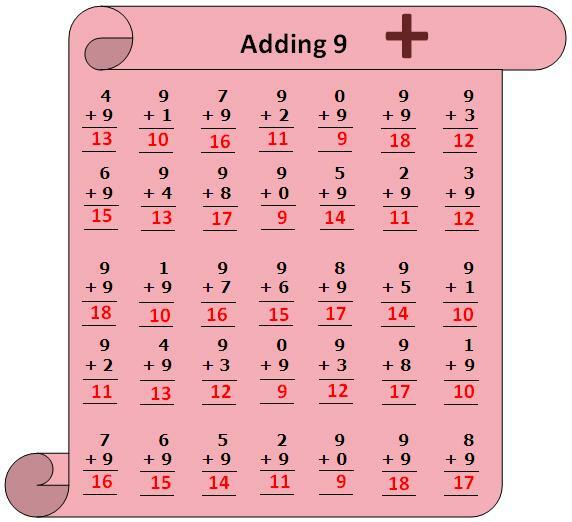 Answers for the worksheet on adding 9 are given below in the chart to check the exact answers of the addition.